Sometimes you need to step away from your life (and blog) to gain proper perspective. In response to a long, cold winter, retrenchment at the non-profit that was my main source of income, and a complete lack of travel outside NYC, I needed a break. Bad. So I grabbed a dirt cheap flight (one of the few perks of a recession) and headed to Northern California, my favorite place to regenerate and rejuvenate when the going gets tough. Specifically I headed to Orr Hot Springs, a hippy retreat in the Mendocino hills. At Orr you sit in hot tubs, soak up the sun, breathe the fragrant air, walk awestruck through redwood groves, read, rest, reflect, cook your own food and rediscover the self that life sometimes keeps you from seeing. My days at Orr were bliss. I then spent 6 days in San Francisco, surrounded by more old friends than you can shake a stick at. I could not possibly have been happier. Now, I'm back in NYC and ready to face the recession head-on. Deep breath. Head high. Mind clear. Forward. I am in San Francisco all week, getting ready to launch my new company. Very exciting. Details to come once the bugs are out. Being in NoCal inspired today's entry in the Travel Massage Series. Welcome to Orr Hot Springs, home of the most sublime, back-to-nature massage I've ever had. Orr is a hippy-dippy natural hot springs in Mendocino County, about 2.5 hours north of San Francisco. It's nestled in a spectacular coastal range, about 30 winding miles inland from the Pacific. Orr only works if you're comfortable being naked in front of strangers and making your own meals in a communal kitchen. If you are, get ready for a treat. If you aren't, we should talk. Orr is fantastic if you do nothing but soak in the springs and relax. But a massage really takes the experience to the next level. Your massage is all about being surrounded by the sounds and smells of nature. The masseurs at Orr fully integrate all senses into their treatment, using gongs, stones, incense, oils ... it's simply dreamy. 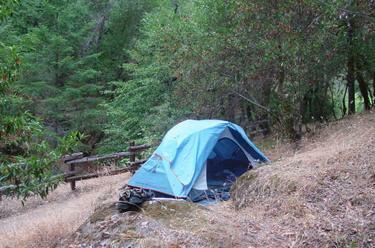 By the way, this is my tent, pitched in the remote end of Orr's camping area in September 2005. Orr has cabins too, if you're not as butch as me. When you're feeling flush and in need of a complete break or spiritual soothe, head to Bali. This spec of an island in massive Indonesia is the only place I've thought might actually be blessed by the Gods. It is gorgeous, friendly, colorful, spiritual and mostly immune to the pressures of tourism and its political situation as a Hindu island in the midst of a huge, somewhat violence-prone Muslim nation. It is easy to forget all this once you're settled in. Luxury comes in many shapes, sizes and price ranges in Bali, and you don't have to spend a lot to have an amazing getaway. 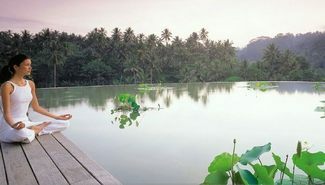 But if you can spend a lot, check into the Four Seasons Bali Luxury Resort at Sayan. This was perhaps my most enjoyable lodging experience ever (of course, I was comp'd, which made it easier to enjoy). It sits in verdant rice fields high above the Ayun River, and not far from the cultural center of Ubud. Get a massage, and it is quite likely that you will be unaware of anything but the sensory experience that surrounds you in those exact moments. Ohhhhmmmmm. Massage. I love it. I would get one every week if I could. Sadly, my limited financial resources put masssage a notch below two other critical recurring expenses: Shrink and Cleaning Lady. I satisfy my massage passion by trying to get one whenever I travel. This fits the "Take Me Away" experience of travel, even when I'm traveling for work. Today I begin a short series on interesting travel massages I've had. Please add yours as you see fit. I'm always looking. First Up: Ten Thousand Waves, Santa Fe, New Mexico. 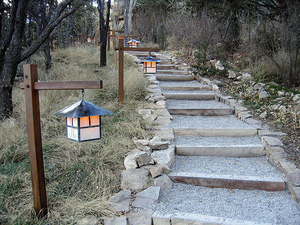 This is a Japanese, Zen-like day spa high up in the mountains above Santa Fe (entry path featured in the photo). Totally transporting, Ten Thousand Waves is practically worth the trip to Santa Fe. In addition to the massage, the spa features communal and private baths, which are particularly blissful after dark. My suggestion. Have an early evening massage, watch the stars come out from the baths, and then go eat a late dinner in town at Geronimo. Burkina Faso. Liberia. Suriname. Chad. Would you care to guess what these four countries – and 44 others – have in common? You're correct. Each of these countries is located in the Yellow Fever-Endemic Zone. I know this because I visited the Centers for Disease Control (CDC) website on Travelers' Health. It's a great resource that details many of the things you need to know about staying healthy when you travel, including recommended vaccinations and preparations. Check it out, and bookmark it for future reference. My wish for you is that you are lucky or adventurous enough to have someplace exotic and vaccine-requiring in your future travel plans. NB: I took this photo of a pharmacist in Fez, Morocco a few years ago. Pretty cool establishment, eh? One of the great things about human memory is its likelihood to retain – at a conscious level – positive rather than negative memories. Sadly, our current political administration regularly reminds us of stupid or tragic things we thought were long gone ... like aggressively destroying the environment for profit, like baiting the public with Nazi scare-tactics and like embracing creationism over evolution. But I digress. Among the more negative experiences of a long-ago life was ... smoking on airplanes. Do you remember the horror of sitting next to someone who was smoking, or passing through the haze of the back-of-the-bus smoking section to use the lavatory? I do, though barely. Good riddance, 20 years ago! I read in today's NY Times about a new airline called Smintair. What is it? It's an all-smoking airline that will begin service on the Dusseldorf-Tokyo route starting next year. Smart route planning, methinks, since Germany and Japan are among the most nicotine-addicted nations in the world. Fortunately Dusseldorf is not showing up on my upcoming travel plans of the next 40 years. I do feel sorry for smokers struggling to get through long-distance no-smoking flights. But I figure that is one of the best opportunities for gaining inspiration to quit smoking. 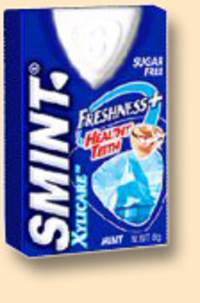 As such, I firmly do not support the concept of Smintair. No worries. I think it will fail regardelss of David Alport's moral or health related judgments. Here, however, is my burning question: Will they hand out Smint Mints upon landing? Hope so. If you're going to take care of yourself, you need to join a gym. If you do a lot of traveling, you shoud join a gym with locations in the places you travel to most often (or one with reciprocal privileges). 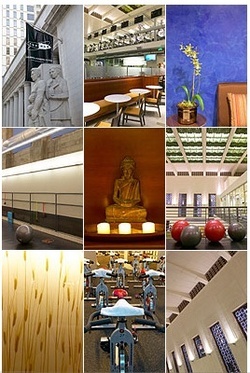 And if you're going to be fabulous, you should probably do both of the above at Equinox. I love, love, love the Greenwich Avenue branch of Equinox, in the village. But the San Francisco branch is pretty cool too. It's in a former 1930's bank building, and the men's locker room is in the vault. They left the vault door on for good measure. I think they planned it that way without realizing the irony. I have a love-hate relationship with Vanity Fair. I appreciate its politics (totally 100% anti-Bush, anti-hate-mongering Republicans, and not afraid to say it), and I get a guilty pleasure out of its celebrity coverage. But right now I'm just tired of reading about George Clooney, and Hollywood agents, and the nasty doings of the overly-rich and lazy. And especially about anything Dominick Dunne has to say. It's time to let my subscription lapse (for awhile only). Air travel is currently responsible for 3.5% of the global-warming gases from all human activity and is growing fast... The impact of air travel is enormous; a round-trip between NYC and LA emits one ton of CO2 per passenger. That's amazing to me. With billions of cars on the road, and gas and heating appliances in nearly every home, air travel is far more than just a blip in this fast growing environmental disaster. So short of flying less (which is recommended) the article refers readers to a very interesting website: www.co2.org. Check it out. The site lets you determine how much C02 your particular activities contribute (flying, driving, etc). It then allows you to "Offset" that amount by giving money to programs that are helping to reduce CO2 output worldwide. I approve. 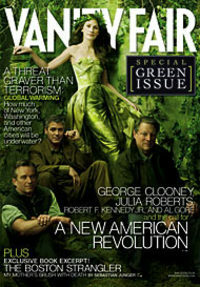 And I salute Vanity Fair for its environmental position. I'll see you again in the May 2007 issue. When I went to Morocco a few years ago, I was traveling with my friend Michael. He is way into natural remedies for all that ails you ... and he should know. 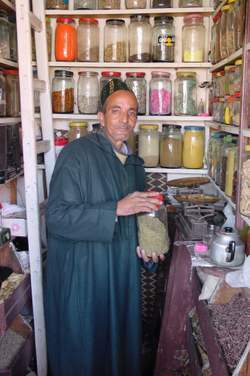 We had a great trip, and one of our very fun moments was when we bought herbal medicines from the guy in this picture. I'm not sure if I believe in natural remedies as much as Michael does, but it was a great travel experience nonetheless. As we head into the busy summer travel season, I thought it would be helpful to provide a terrific reference on the topic of travel health. It's the Center for Disease Control (CDC)'s Travel Health site, and you'll find it chock full of useful information. Things like immunizations needed in different parts of the world; dealing with illness or injury abroad; and links to all sorts of valuable local resources. Check it out, and use it when you're traveling your next big trip. As for herbal remedies, I'd love to hear of your experiences. Comment away.